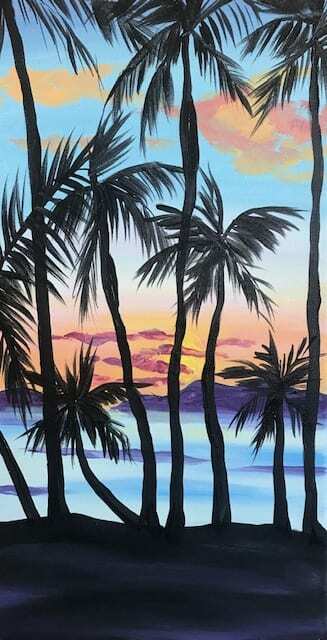 Come learn how to paint a beautiful tropical sunset at the Food Hall! Bring some friends, grab some food and drinks, and have some artistic fun! No experience is necessary. All painting supplies and step-by-step instructions are provided. Food and Beverage is available for separate purchase. All ages welcome. Monday April 15 , 6-9pm $35. Purchase tickets here!